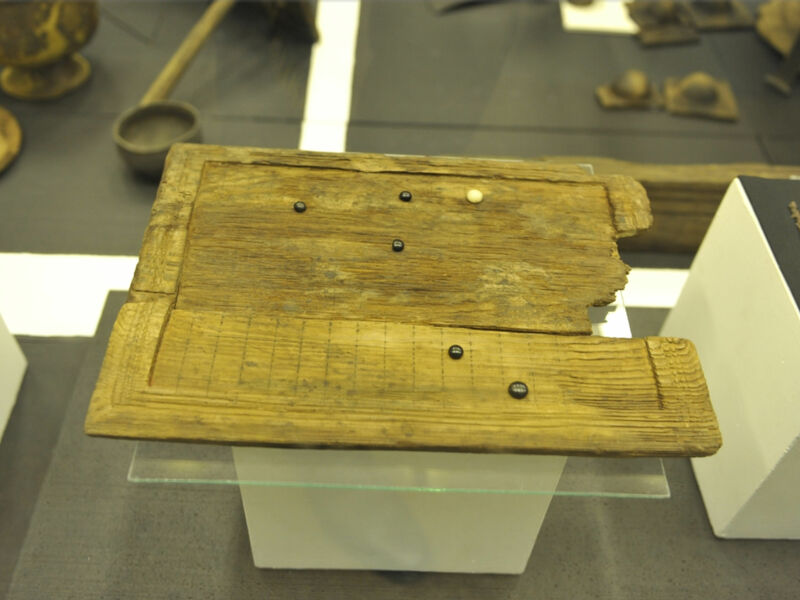 In the past week there has been a lot of buzz on the internet about the Poprad Game Board, which was found in Poprad, Slovakia, back in 2006, in a tomb of a Germanic chieftain, who served in the Roman army as a mercenary, called foederatus, and dated to 375 CE. The reason for the buzz is because the game board is going on display at the Podtatranské Museum in Poprad later this year. Poprad Game Board with 17×18 grid. The game has still not been officially published, although a scholarly article by Ulrich Schaedler, the gaming expert who analyzed the game, is in the works. The game appears to be a version of the Roman game Ludus Latrunculorum (aka Latrunculi), but what makes this particular board unique is that it has a much larger grid of 17×18 cells, where the more typical Latrunculi boards have grids 7×8, 8×8, or 9×10. If this game board is truly Latrunculi, then it is the largest board for this game that has ever been found anywhere. The game was found with black and white glass playing pieces, typical of Latrunculi. If you have your own ideas of what this game board might be please post your thoughts. Many people already have mentioned that it looks a lot like Chinese Go, however as far as we know, Go was not known in the Roman world, and so this would be highly unlikely.